Il Salviatino – our number one! In our opinion this exclusive top-class venue cannot be beaten. The luxury hotel is located close to the lively center of Florence, nestled in the romantic picturesque hills of Tuscany. Il Salviatino offers the possibility to celebrate symbolic ceremonies under the open sky; it offers also various options for unforgettable wedding receptions in an ambience of luxury and elegance combined with traditional Tuscan charm. Il Salviatino is the perfect backdrop for exclusive small and private weddings. The surroundings offer beautiful settings for your wedding photos from the romantic park with a stunning view over the picturesque landscape of Tuscany and Florence or the luxurious interior of the hotel with noble rooms and suites. 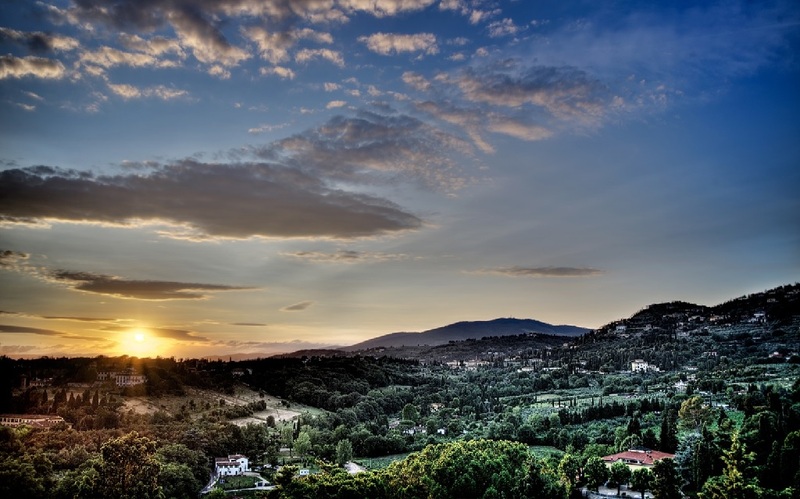 Our number two is the five-star resort Vila Cora, which is located outside of the historic center of Florence and is surrounded by a beautiful park. The 19th century villa is one of the most beautiful buildings in Florence. The fabulous park of the resort offers also opportunities for free or symbolic ceremonies in an unique and refined setting. The park offers the ideal backdrop for wonderful photo shoots to document and record your special day. The luxury hotel Four Seasons is located about one kilometer from the city center of Florence and welcomes its guests with the perfect mix of luxurious elegance and modern elements. After a civil marriage – for example in the historic Palazzo Vecchio in the heart of the city – the hotel is ideal for a wedding reception close to the stunning historic center of Florence. The Four Seasons offers the possibility for protestant, free or symbolic ceremonies. The hotel offers numerous possibilities for your wedding reception from private terraces – perfect for small weddings – up to magnificent ballrooms that can accommodate up to 300 guests.